With the success of Dark Souls, a sequel in the making was all but assured. But even before the announcement, even before the beginning of the development saga for Dark Souls II or its Spike TV premiere, it started off hazy–even a bit strange. Right off the bat, there was already skepticism over whether the development team would deliver again, which all started with a mistranslation, of all things. Not to say their criticism or fears were misplaced. On the contrary, there were many great arguments in favor of the series not forgoing the two elements that made it unique — difficulty and narrative. The debate persisted for a while until its actual premiere and official announcement, which sparked even further concerns among the fanbase. Most of the worries were put to rest as time went on since the two directors, besides some questionable statements, seemed to have their hearts in the right place. 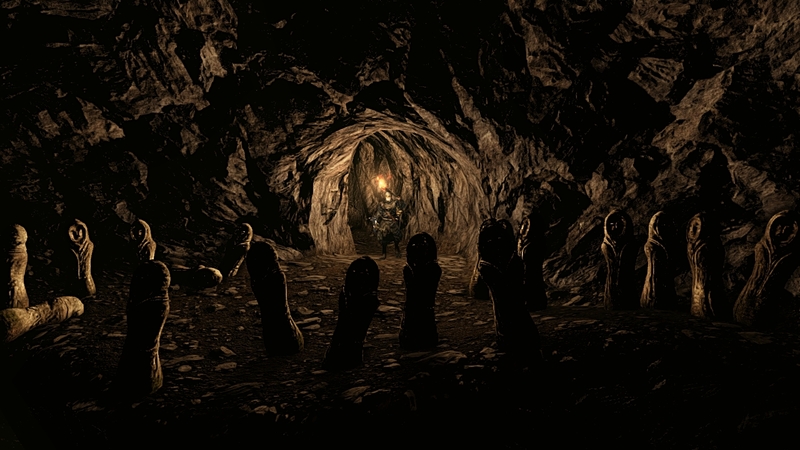 Keep what makes a Souls game unique, but, at the same time, try to accommodate new players who seek a challenge, but need a little more leniency. That, in itself, must have been a challenging referendum that both From Software and Bandai Namco strived to maintain during development. Even as I, a huge Souls fan who enjoyed Dark Souls immensely can agree, it had its share of problems. Does the sequel succeed in improving on its predecessors’ faults, while adding new additions to the lore and setting of Dark Souls? Unlike past entries, the game begins with a heavier focus on exposition for more transparency on the goal, at least, at first. The game revolves around you, a created character, being one of the cursed undead looking to find a cure before you eventually go hollow. Legend has it that a cure exists in a land far beyond in the North, in the land of Drangelic, or, at least, what’s left of it. After taking the plunge into a vortex, you arrive in a land where time is warped and dimensions overlap — like a certain other setting. You meet three old women who, after having a little fun mocking you, help you grasp what little bit of memory you have left. After a bit more exposition, you set off to the town of Majula where you meet the The Emerald Herald who gives you an idea of a goal: obtain the powerful souls of the Old Ones, and find King Vendrick. And, thus, the adventure begins. Continuing on with one of Dark Souls’ fundamental aspects is the use of an obscure method of storytelling. The player needs to actively keep digging for new information, rather than just follow the basic plot and prematurely see it only at face value. The game doesn’t outright tell the story with excessive amounts of dialogue or cutscenes, but, rather, with subtle or not-so-subtle imagery of the environments or equipment, item descriptions and reading between the lines in the small amount of NPC dialogue that’s given. In a way, it’s a game within a game, but only if you pursue it, as you can play to the very end and still understand little to nothing. 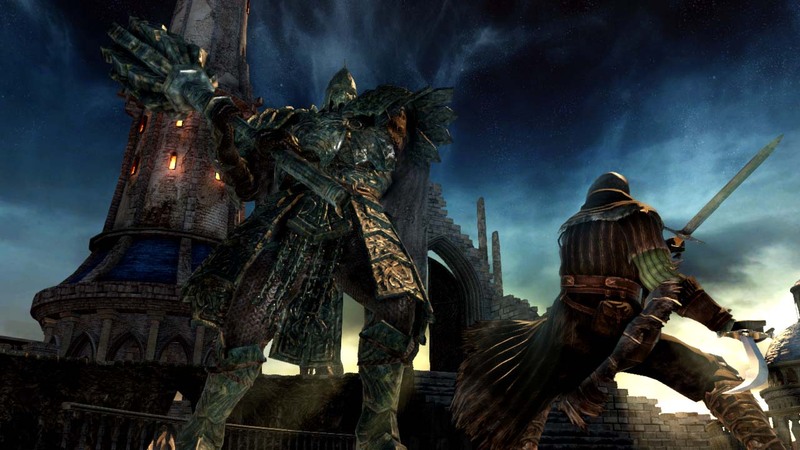 The setting has a very strange connection to Lordran from Dark Souls, with it possibly being the very same lands, but many years later. This time around it’s more or less the same, but with more scope — multiple kingdoms existing before eventually falling, only to be replaced with another. 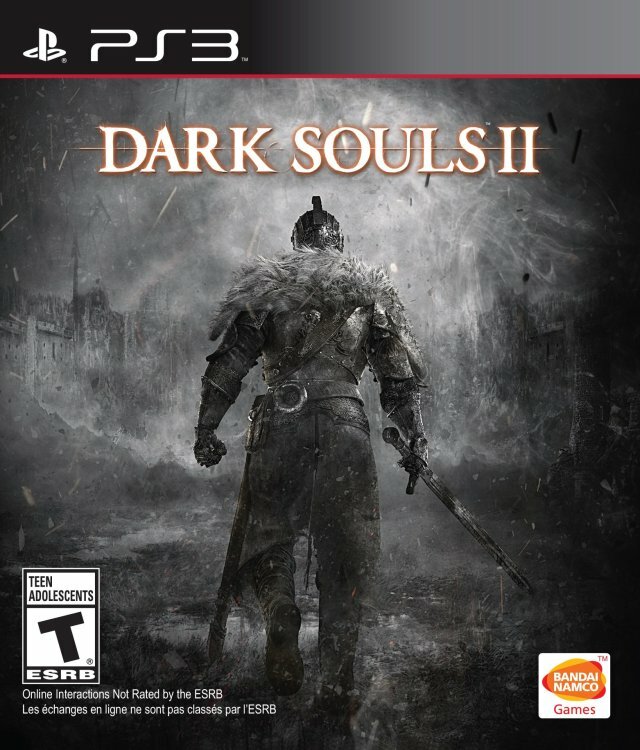 If I were to compare this to Dark Souls, I would say the actual lore isn’t as interesting as its predecessor, with most of the focus being eaten up by connections and references to the previous game and not on new material. In Dark Souls, each area felt like it was adding another piece to one giant puzzle that encompassed Lordran in one picture, while, here, I got more puzzles to solve with pieces spread out. The individual areas, while technically connected, have their own self-contained stories, but don’t go any deeper, or are just another means to connect to the past setting. The NPCs themselves aren’t as interesting as they could have been — half of them being reused archetypes or job positions to fill, once again, which act as references of previous games, like the Crestfallen Warrior, Patches and Oswald of this game. Not that there’s anything wrong with continuing to use something that works, and, given that it’s a sequel, it’s bound to happen. But the new character types being introduced are rather dull design-wise, or don’t have that unhinged personalty quirk that makes them memorable. Being as they’re supposed to be of huge importance, and don’t just act as vendors or possible quest givers, but also to enlighten about some of the areas in which they reside or are found in on the journey, the setting suffers for it. 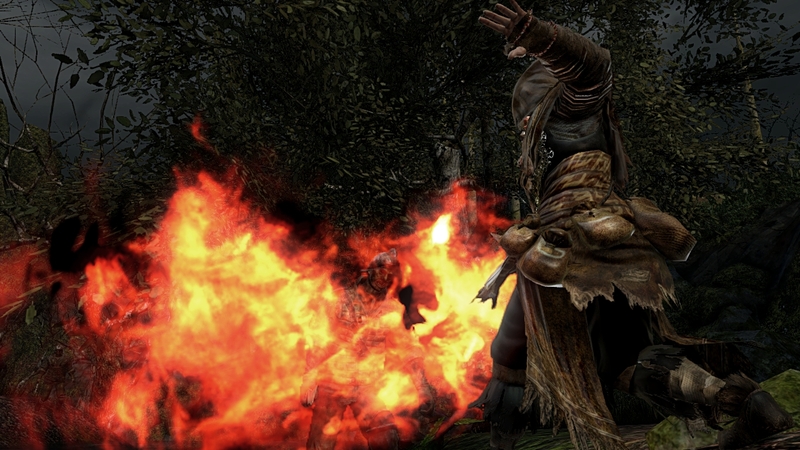 Combat remains, more or less, unchanged since Demon’s Souls with a few tweaks and new additions. Backstabbing no longer can be achieved through just being behind the enemy or player. Instead, you must hit them with a slight jab from behind for it to occur; a change with which I’m quite pleased. The use of any spell, whether Hexes, Sorcery, Miracles, or Pyromancy now consume stamina to give PvE and PvP more balance. For example, players that choose a Faith build don’t have free reign to spam moves like Lightning Spear without being at a disadvantage when engaging combat against say a strength build. Equipment degradation is no longer just an afterthought either, with even rings being susceptible to wearing down, and eventually breakage, and not just a condition for removing specific ones. This is even more prevalent with certain weapons like Katanas, Polearms, and piercing weapons, which are more brittle than, say, a Greatsword. So, not only are they actually going to have some use this time around, having repair powders on hand is imperative. Though, fulfilling your duties as a summon or visiting a bonfire will instantly heal them, as well. Fast rolling, or, at least, a more proper roll can now be maintained at 70% or lower in equipment load, and not just at 50% and lower as it was previously. Mimics aren’t the only threats in chests that you’ll have to contend with — now traps of all kinds can be activated when opening them, and wooden chests are breakable, destroying the treasures within them. The new additional stat, Adaptability, increases poise and running speed on the otherwise slower animations that were given weight. It’s not as grand as it sounds — it won’t win you battles alone, but it does make a subtle difference for those players itching to use rolling for the invincibility frames. Newly added Hex spells give more variety, but are just as poorly balanced and overpowered as when Pyromancy was first introduced. You now can wear four rings, compared to only two in previous games, but they now have weight that adds up to your total equipment load. Estus Flasks no longer come in fives when improving bonfires. 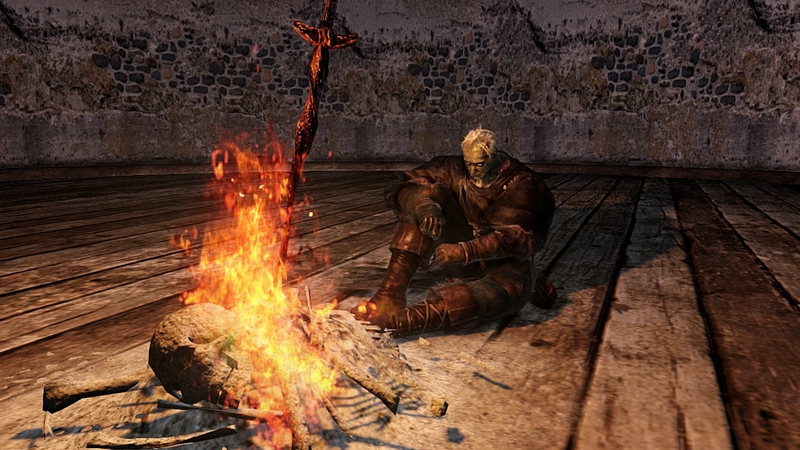 Instead, certain items allow you to reinforce them when burned at bonfires, and increase the maximum number of Estsus Flasks by obtaining shards and giving them to the Emerald Harold at Majula. And, like the Maiden in Black in Demon’s Souls, she also acts as your only way to use your souls to level up. Besides that, From decided to go even further with some pretty big changes that can be seen as more lenient, but, at the same time, make the game potentially more difficult. Dying now has more consequences, with the developers intentions being for players to play in human form more often than hollow form, with the former previously only having the advantage of being able to summon other players. Once you die, you go hollow, which is a given at this point in the series. However, similar to Demon’s Souls, with each death, your percentage of health chips away, up to 50% of your health to be exact. Not only that, being in hollow form doesn’t exempt you from being invaded by other players anymore. But, on the flip side, more than just Human Effigies can help with this problem. Besides being invaded, being summoned and fulfilling your duty will now instantly give you your humanity back. If that wasn’t enough, certain rings allow you to die — not at the cost of your humanity or souls — but, rather, at the cost of it breaking, but is cheap to repair. 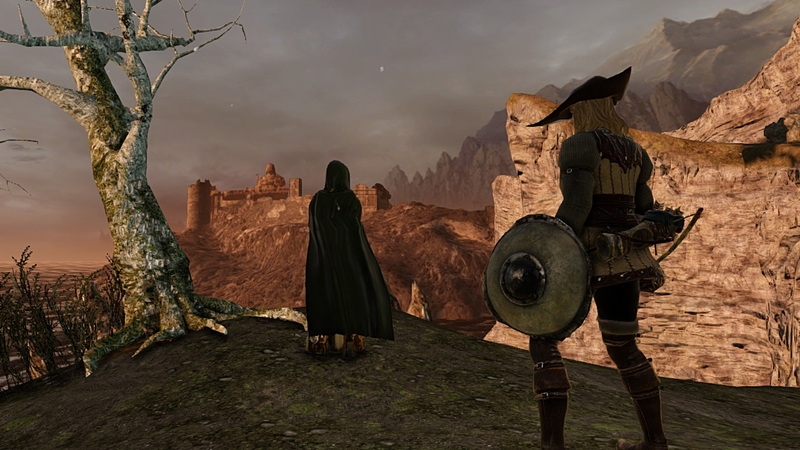 Items such as Titanite Shards or Human Effigy, are limited at vendors for a given time or even for the whole game. Enemies, when killed enough times, will eventually stop respawning, so making treks to bosses is more manageable, but, at the same time, makes grinding for souls and certain rare drops more difficult. You can, however, use another new addition to the series — the Bonfire aesthetics to return enemies or even bosses and certain items in a given area. The price you pay for using them increases the area’s difficulty to the equivalent to New Game+, which carries over to the next playthrough as even harder than it would have previously been. Whether a small or big alteration, From Software thought of every countermeasure to something that could be seen as too easy or too hard; seamlessly giving a helping hand, while maintaining the challenge level that starts out intimidating. Map layouts range from larger in length with open space to very dense, closed off areas with narrow passages and numerous secrets to be found. Geography-wise, there’s a lot variety going on here, with locals like the Forest of Giants, to the Lost Bastille, to the Harvest Valley, to the Iron Keep. My favorite is Heide’s Tower of Flame, with most of the city being flooded, residing underwater with the tower of flame acting as a beacon or lighthouse towering over the remnants of what is left of the structures. Level design-wise, most are sound, though some I could do without, like the Undead Crypt, with a decent new enemy type, but a very weak gimmick to the level design that made me quite glad it was short. Next Post:UPDATE: Tales of Hearts R Coming West?